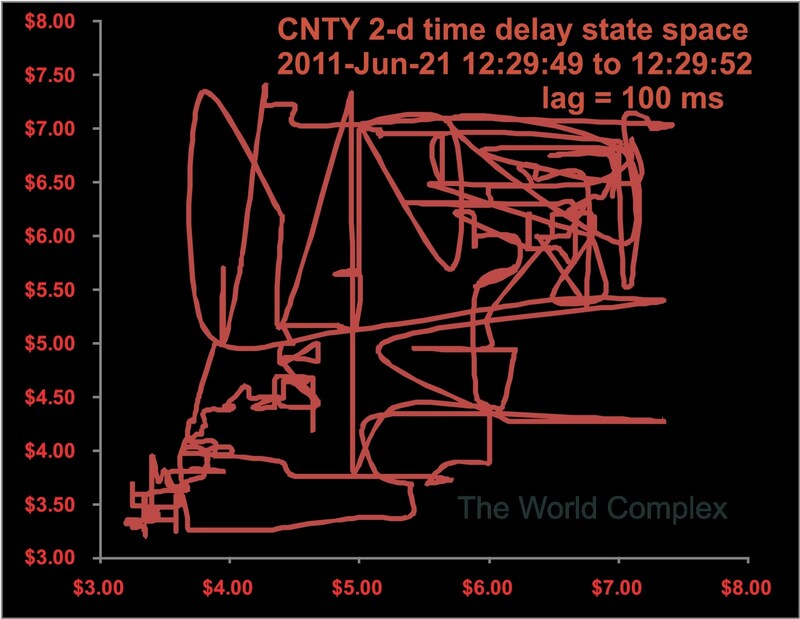 This map shows microscopic detail of stock prices as computers follow rules (algorithms) to trade thousands of times per second in behind the normal buy and sell traffic of individuals. 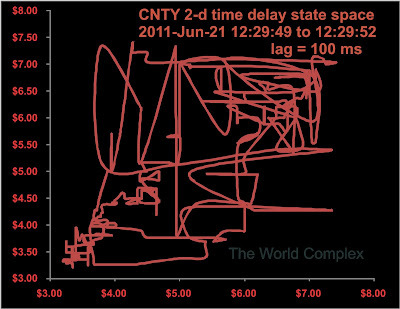 The chart below covers three seconds of trading on the afternoon of June 21st. It appears to be a duel between two or more competing algorithms that jumped in to exploit volatility. Much more at Zero Hedge article. Traders call it a "bowl of spaghetti".